Went to Meijer tonight (Highland, Indiana) and they have BYBY on sale! Gala Ghoulfriends were 15.99, and I think Nefera and Catty were 20.99. The two-pack was not included in the sale. It ends on 8/8 according to the tag. They also had the workout set, Ghoul Fair, Picture Day, Freaky Fusion (all kinds), Monster Exchange (Marisol and Lorna are hiding behind Lagoona), Zombie Shake, Art Class, Freaky Field Trip, Geek Shriek, Way Too Wonderland, Through the Woods, the EAH swim set, um. Actually the best variety I've seen anywhere around here. Here's an album of pics http://imgur.com/a/IB3NX? (yes, the first two repeat, no it is not your imagination). No, the head isn't $20, I think that's supposed to be the tag for Nefera. I saw all the new vinyls at Meijer tonight (one of each plus two Deuces...heh) along with the three new Frightmares (two of each, minus Flara) and the Fangtastic Fitness dolls. These all have their own display outside the aisles along with the Ghoul Fair dolls and budget Barbies. 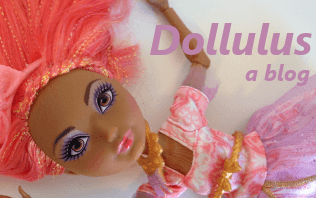 They're also having a sale on most of the Boo York and Freak du Chic dolls for $15 and the 17-inch dolls are $22. I think the high school is also on sale but I didn't see any. Lots of MegaBloks playsets and figures too. Their section is tiny tiny but the prices are good! The little bit of EAH dolls they had were also $15. Both the vinyls and Frightmares are ringing up $7.99! Ghoul Fair, Frightmares, and the Vinyls are all on sale for $5!!!!! AND they have all the new Frightmares too. 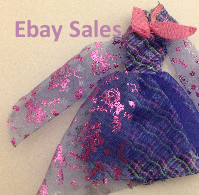 There is plenty of other stuff on sale, but nothing really worth mentioning. Tomorrow and Thursday (12/9 and 12/10) Meijer will be running their Santa Bucks promo where you can use the coupons to get dollars off a single-item minimum purchase in general merchandise, apparel, or health and beauty care item. It explicitly excludes grocery and home consumables (like cleaning products), but toys are in play! There are no toy brand exclusions like TRU and Target have sometimes either. It's $3 off $14.99 and up, $5 off 24.99 and up, $10 off 49.99 and up, $15 off 74.99 and up, and $20 off 99.99 and up. And it stacks with any MPerks rewards you're working on, like the $4 off after $40.00 in toy purchases one. Edit: Went and checked out the section, the GSC and Brand Boo Students weren't out yet but there was a glut of older stuff like GNO Rochelle and Lagoona, and I<3 Shoes Draculaura. They were still $14.99 aside from the BOGO 50% off sale on them through Friday. Edit: 12/12 - Went back again yesterday, found Peri and Pearl, and the new budgets with fewer joints. I didn't notice the dimples on the twins' chins before, it's cute. Also through today, all EAH is 25% off, and there's $5 off a $75 purchase and $15 off a $150 purchase with Mperks. Just a heads up for all of you ladies who have been pining for Astranova but cant cough up 50.00+ Meijers is having a BIG fire sale right now. and she is half price! Maybe more if you catch them doing the 25% more off thing like they were tonight.. So i got her for like 20.00!! Any howl, just a heads up for any of you ladies looking for her.. they have both kinds, the dark blue and pale purple one! Too bad I don't have a Meijers near me. I kinda want the dark one but can't drop $50 right now. Awww.. im sorries! i hope you find her! maybe wally world will have a fire sale too! I don't Have one anywhere in my region either. But Congratulations to those who do! thank you! she's lovely.. i would never have been able to afford or justify getting her other wise!! Umm.. im not sure where to put this so i will just stick it on the main board.. if you need to move it feel free mods! 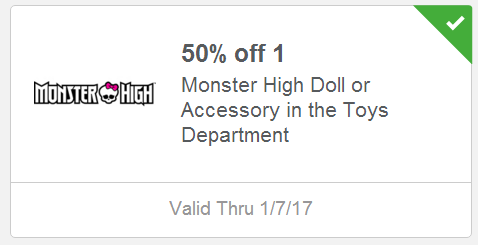 any how until the 14th of this month.. Meijers is having a buy one Get one Half off sale on ALL monster high, and EAH dolls and acessories. Found Bolton Bicycle Frankie for $10 at Meijer in Ann Arbor, MI. They had the mini case for $10 too! Just noticed this coupon from Meijer if you use their Mperks program. Going to check out their selection on lunch today! I'm from YPSI! Check out the Ypsi Walmart, it has awesome MH clearance right now. Saline Walmart down the road a ways has a bit too. Anyway, real purpose for this post. My local Meijer has most of MH at 25% off. I pass 3 Meijer's on my 20 minute drive to work, I'm gonna have to check this out! I bought Honey swamp and Spectra, two I had on my list. I was happy to see they still had a few EAH dolls inline, the archery dolls and some non-articulated ones. At least there is something there! Was at Meijer again, they reduced some prices more. Ypsilanti, MI. Frankie on the bike has been reduced to $9.99. Moanica and Drac were $12. Drac with shoes was $7.50. Shriek Wrecked $9.99 they had Dayna and Drac. Twin packs with the boy $14.99. Frightmares, don't recall the price. A few GSR can't recall the price. It took a lot of self control this visit. I hope they reduce the prices one more time before getting rid of them. Some pics of Meijer Clearance under the spoiler. This one still has a lot of vinyl, megablocks, Frightmares, GSR, mini case, Sig Goo, Epic Winter and Dragon Games.